In the first three Seven Numbers posts the natural history of the most important conditions to your healthcare spend were shared. But what do you do if you have missed the primary prevention window? Is it too late to control costs? So let’s say that the disease has appeared in the body – diabetes, heart disease, or cancer. It is not too late. With cancer, for example, one cell becomes two, then four, eight, sixteen, thirty-two, and so forth. But the cells are localized, contained in one small area. They could easily be removed by a short procedure. It is not until literally hundreds of thousands of cells have appeared that the ability to completely cure the cancer is lost for many of the common cancers. Again, it is estimated that 3 to 5 years go by during which we could act and literally save our own lives. Which cancers could be diagnosed early? Skin cancer (detected with history, exam, and a simple biopsy). For heart disease, diabetes, or hypertension, blood sugar and blood pressure gradually rise. Fat gets deposited in our arteries (LDL cholesterol for example) and begins to accumulate. No untreatable “end organ damage” in our heart, brain, kidneys, or other organs has occurred (if they had the employee would have had a heart attack, stroke, or kidney failure). With proper treatment these complications can be prevented or delayed for decades. But the window to act is closing. How does your company make sure this occurs? Why don’t we and our employees act? 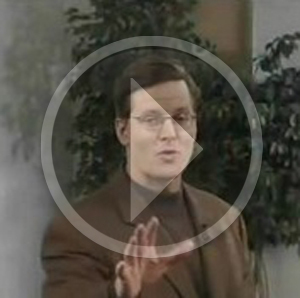 Why do the majority of us allow these changes to occur in our bodies without acting? In the next Seven Numbers Blog we will explore the answer to this question. In the first installment of the Seven Number Series, we understand how three of your biggest expenses are slowly (and effectively) attacking your company. The key to stopping this epidemic? Acting early – preventing pre-disease from moving to disease. During this phase, which lasts 5 to 15 years, our bodies have the ability to undo or delay any long term damage. 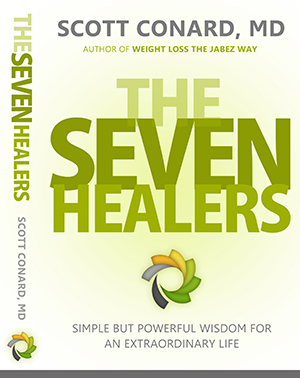 If we stop the lifestyle and habits, our bodies will heal the damage – return to normal functioning, and even repair body tissues that are beginning to fail (diabetes & heart disease) or grow abnormally (cancer). 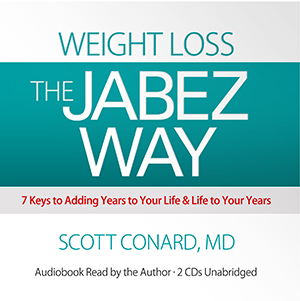 Perhaps the best example of pre-disease that can be reversed is metabolic syndrome. What do you do when you know these numbers? Simple, set up programs and activities to get them down. Everything from participating in 5K walks and bike rides, changing food out in the vending machines and your café, bring in targeted programs, and so forth. These actions should be part of your health benefits design and included based on their effectiveness. Equally important to these efforts is activating and empowering employees to get more involved in understanding, monitoring and managing their health. Focus on what really matters – getting these Seven Numbers to goal. Putting incentives and penalties in place over a series of years is vital to actually decreasing illness, disability, and costs. Having a foundation to communicate with your employees, to empower them, is necessary for success. 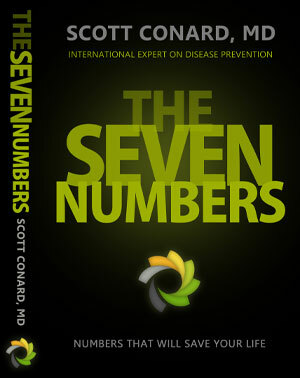 Please feel free to request a copy of The Seven Numbers book. Follow my blog posts and I will give examples of companies that are doing these types of changes today with outstanding results. Catastrophic conditions, such as debilitating heart disease, diabetes, and cancer, don’t just appear in our body. They progress from having a predisposition passed on from your parents, to increased risk of the disease (for example when we gain weight or become overweight); to pre-disease, where the numbers we monitor like cholesterol and blood pressure begin to change; and to disease like diabetes, heart attacks, or cancer appearing in our body; to complications like strokes, amputations, and kidney failure, widespread in our body. Why is this important? Every step along this disease progression can be slowed or eliminated. Most wellness programs try to attack this problem with lifestyle changes to reduce pre-disease – a good strategy if you are monitoring and targeting the appearance of pre-disease in your employees. How do you know if “pre-disease” is appearing in your employees? An effective program looks at the bio (life)-metrics (numbers) of your employees. If you don’t start with an understanding of the disease prevalence, time and money may be wasted. Frankly, today the term “Wellness Program” encompasses such a broad range of initiatives, it has lost its meaning. Too often these programs amorphous well intended, information gathering and sharing efforts, devoid of actual metrics, and clearly defined next steps for the employee – point to a program that will fail. In the next installment, we will discuss a proven set metrics to follow and why they are so vital to your company’s well-being.